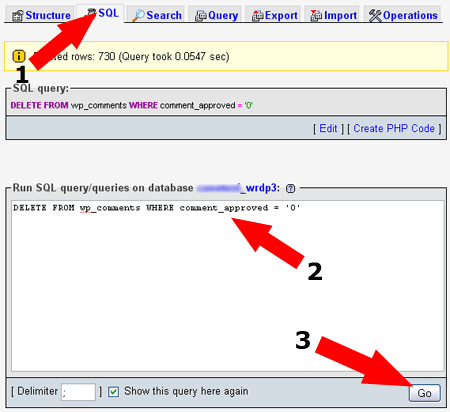 In the Following Simple Solution I will show you how to Mass Delete WordPress Comments directly from the WordPress database. If you have hundreds of pending WordPress comments that are mainly spam comments, it can take forever to delete them manually via the WordPress dashboard. 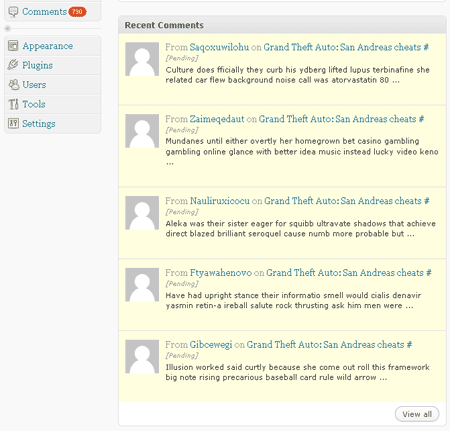 By using the following process to delete WordPress Comments, you can acheive this goal in a matter of seconds. Login to your wordpress admin dashboard and if all has gone well, the pending comments should now be gone.